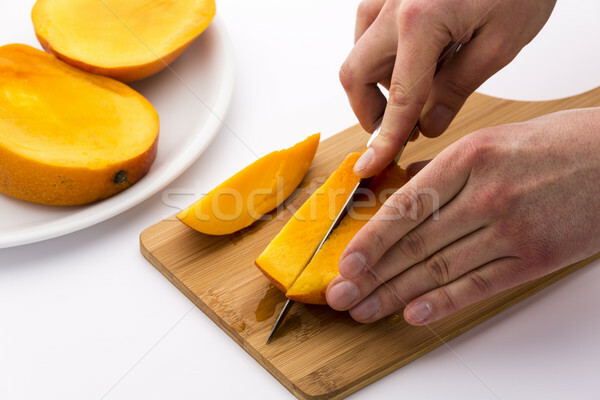 Stock photo: Two hands cutting the first of three equal mango slices into fruit chips. A kitchen blade is exerting a second cut through the juicy fruit pulp of the flat mango third. Close up. White background. 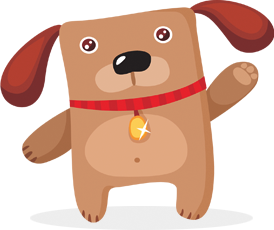 Online since December 20, 2014.